Of all the great characters in The Lord of the Rings, few are female and even fewer have a bigger part than to just look graceful and occasionally show of their power. Éowyn herself is a character that keeps being told where she should be and how she should act but like an ENFJ, refuses to do what they’re told- for the sake of humanity! INFPs and INFJs seem to take care of the NF stereotype by carrying a great burden while the Extroverted NFs don’t seem to mind giving their lives as part of a vision to help humanity. ENFPs take pride in their spontaneity but ENFJs have Ni as their auxiliary function so ‘long-range’ is more their style. Éowyn takes most of her story to know where she really wants to be, but does some awesome things along the way to figure that out. While the ESFJs can often be found breaking others’ rules in favor of their upbringing, it’s the ENFJ that will break the rules of even those that raised them if it means doing what they think is actually right. As far as Éowyn is concerned, staying in Rohan to rule while her uncle, King Theoden, went to battle seemed a less noble cause to her. So she did what any normal person would do and dressed up like a man to fight anyway. This face is all about understanding. This is when she decides to help heal the wounded and sick. Sure, her as a warrior makes a more fun story for us to read, but ya gotta have character development am I right? How is this an unhealthy character in any way? Well, when I say unhealthy, it’s really more about a character doing what’s unnatural to them. While one character may need to learn to be more responsible, one may need to learn to loosen up. While one character needs to learn to stand up for themselves, others need to learn to stand down. The latter is Éowyn’s case in every way. How does this relate to the ENFJ? ENFJs are often so enveloped with the future that they can forget about the time they’re actually living in. 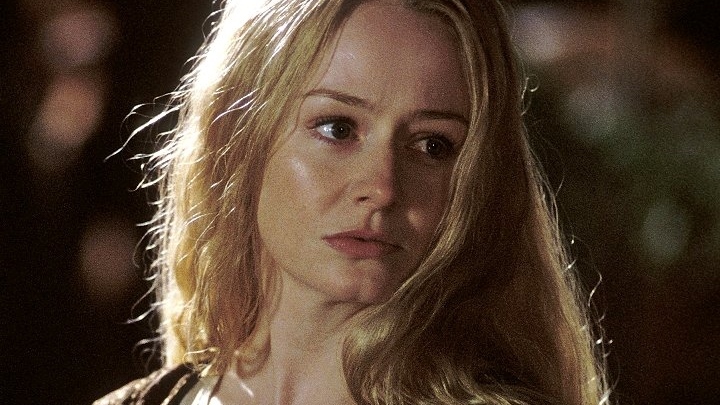 While Éowyn sees the immediate good fighting the good fight would do, she fails to see what good taking care of her people will do if it doesn’t involve swinging a sword. When we first meet her, she’s taking care of her Uncle, whose mind has been poisoned by Wormtongue, who is clearly a villain from his name alone. She’s given up many years of her own life to be at his side and make sure he has what he needs as ENFJs will often forsake their own needs for others. In fact, ENFJs may spend so much time on others that they might ignore their own needs altogether, forgetting to take care of themselves. “Oh, I’m gonna take care of something alright…” -actual quote right here. So when the time comes for battle, Éowyn pretty much says “Forget this healthcare thing! I’m gonna KILL SOMETHING!” and she seems to forget the value in taking care of others that also need her. Though ENFJs are most certainly “people people,” they need to make sure to get serious alone time so as to really absorb all the interactions and observations they take part in. ENFJs can get so involved in the outside world, that even something like resting can feel like they’re wasting their time or not doing enough. And for as outgoing as they are, there is a lot to the ENFJ that they hold back, just as Éowyn does, and it’s thought that they do this so as to make sure they bring out the best in others rather than hold them back by tainting them with the ENFJ’s own beliefs. Still, a little rest after MURDERING the king of witches did Éowyn some good, as it would do any ENFJ. This entry was posted on 12/15/2014 at 1:02 pm and is filed under MBTI Idealists, MBTI Stuff with tags Éowyn, enfj, lord of the rings, mbti in fiction. You can follow any responses to this entry through the RSS 2.0 feed. You can leave a response, or trackback from your own site. Are you going to do anything like a fact/fiction type deal with the Hobbit films? As in, like a comparison of the books to films? Because there should be an article posted pretty soon relating to that.